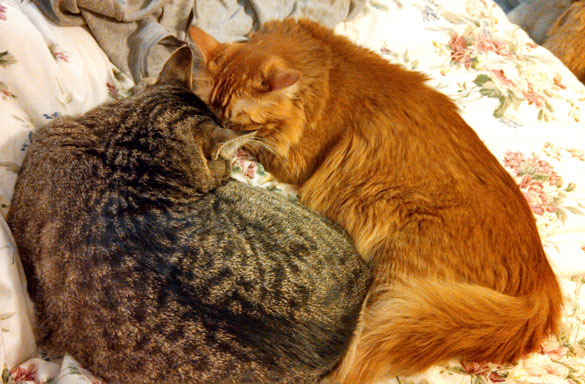 Today my cats are featured on J. Kathleen Cheney’s blog. They had no confetti to throw, but that didn’t stop them from celebrating their newfound fame. I have no idea how they did this.